In this week's Poetic License, Benjamin Alire Saenz begins a series in which he reflects on Words, Knowledge, and Memory. In this entry, Ben explains how he approaches all three in his life and his work. 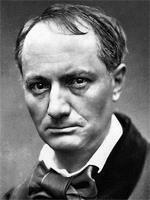 And in this week's Poem of the Week, Daniel reads "Be Drunk" by Charles Baudelaire.